New Visitors: More important than the number of visitors visiting your website is, how many of them are unique, first time visitors. This tells you how many more people are you reaching with your marketing and content strategy. Traffic Sources: It is important to know from where your traffic is coming, known as referrals. Figure out how much each source is bringing and how many of them are converting. Through referrals, you can track if your website is coming through a search engine or another website. Knowing where your traffic is coming from helps you in knowing what areas to target. Top Ten Pages: Preference of website owners and users are usually poles apart. Pages which you might like may not be that well-liked by the visitors. By tracking the top pages, you can see what type of content the potential customers prefer. 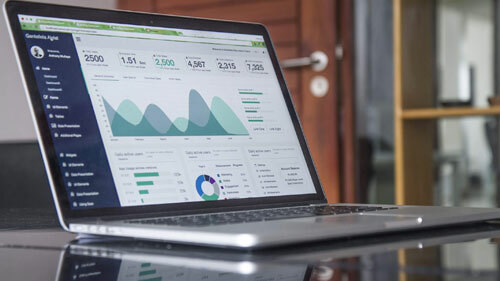 Conversion Rate: The conversion rate is the most important metric to be tracked because at the end of the day, you are trying to achieve a certain goal with the website. The percentage of people who actually achieve the goal on your website is referred to as conversion rate. Even if you are attracting traffic in millions, a low conversion rate means you are getting the wrong kind of traffic. The way a new or a return customer interacts with your website is different and it is important to convert them. A return customer will only return if they liked something on your website, figure out what it was and how to replicate it in other things which are not doing so well. Whereas, for a new visitor, you first have to make the right impression and then comes the conversion. Bounce Rate: When a visitor clicks on your website and leaves without much interaction, that is call bouncing and you want to minimize it. A high rate could mean many things like poor design, overcomplicated process, or even unrelated traffic. Exit Pages: People might not be leaving the website immediately but abandoning it on some other page. If more people are exiting on your check out page, maybe the process is too complicated or too little payment options are available. You need to dig a little deeper to work the problems out and fix them. Final Thoughts: Start by monitoring a few stats then increasing them gradually as you get the hang of it. One of the most popular tools for monitoring traffic is Google Analytics and it is free. The interface is easy and it works with AdWords. Don’t lose out on growing your website! Check out our paid website traffic solutions starting as low as $4!